Togashi's artistic style ranges all over the map, from flat cartoonish characters to incredibly detailed and realistic portraits. The following pictures are only a sampling of his different series and styles. Ookami ad: an advertisement for the Ookami nante kowakunai!! 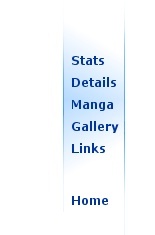 manga. Level E: an advertisement for the Level E manga. Cupid ad: an advertisement for the Ten de Shouwaru Cupid manga. 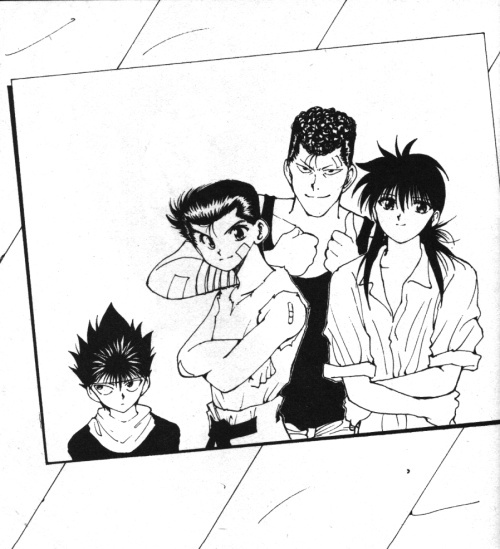 Hiei, Yuusuke, Kuwabara, and Kurama: the four main characters of Yu Yu Hakusho. Genkai-shihan: An artistic rendering of Genkai, from Yu Yu Hakusho. 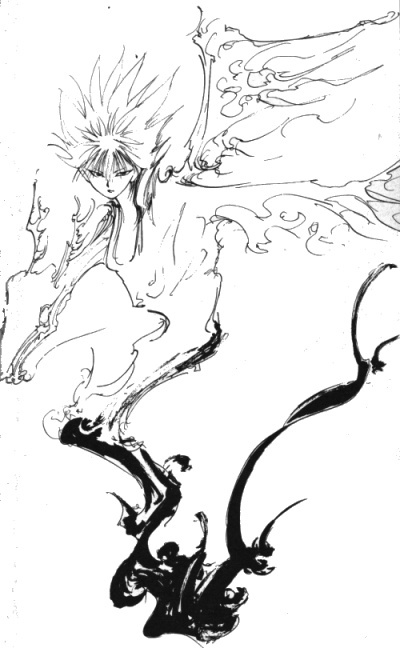 Kokuryuu: A stylized depiction of Hiei and his black dragon, from Yu Yu Hakusho. Gon, Clapika, Leorio, and Killua: the four main characters of Hunter X Hunter. 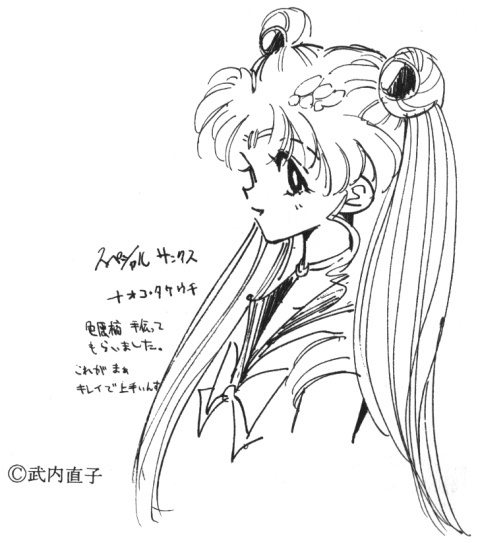 Sailormoon: A headshot of Sailormoon, with a note of thanks to Naoko. 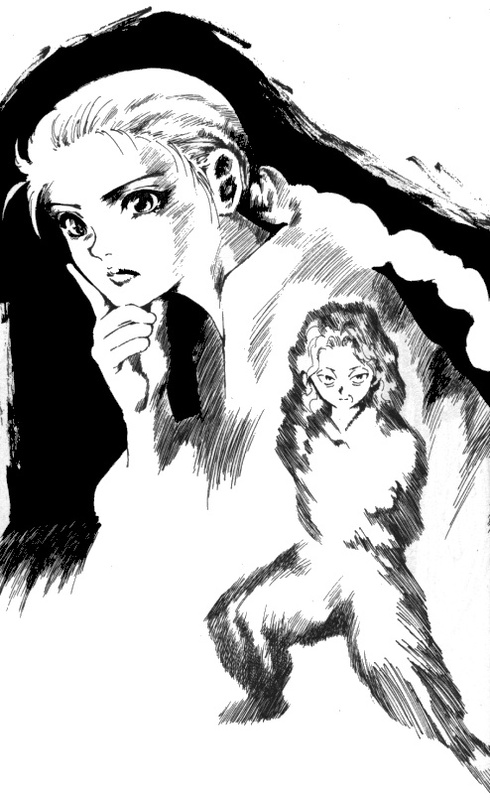 Scanned from a Hunter X Hunter tankoubon. 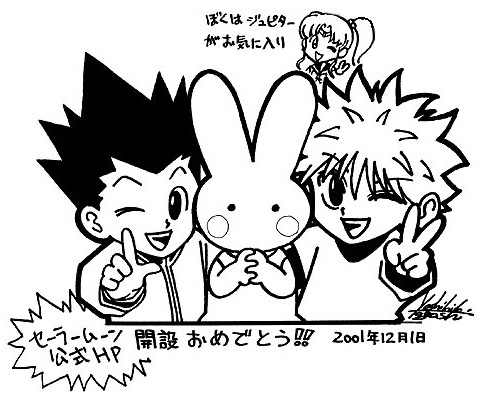 Gon and Killua hugging Naoko's rabbit (with a Sailorjupiter cameo!) 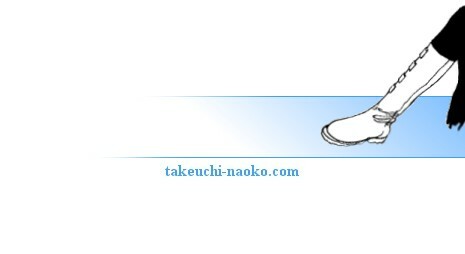 A "congratulations" sketch from Naoko's official site.